Lock30 was picturesque, clean and quiet. It was also easy to find and affordable. We look forward to returning. 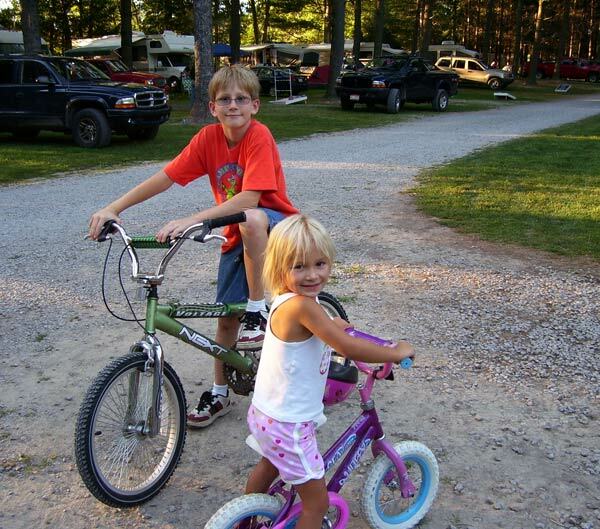 A mile of the middle branch of Beaver Creek flows through our 65 acres of scenic campground. We own on both sides of the river; conservation easements protect Wild & Scenic designated Beaver Creek. That means if you canoe or kayak this section, you will not see development or residential structures for miles. 3 1/2 acre lake is catch and release. 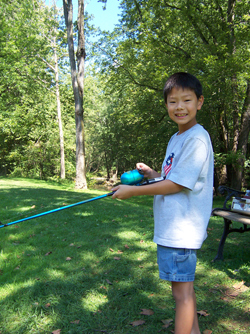 Pick up bait and fishing supplies in our gatehouse counter store. 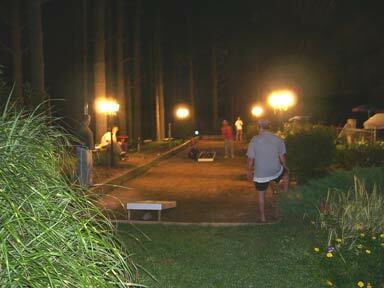 Bocce anyone? Join us on our tournament grade, landscaped bocce court, one of the largest in Ohio, at over 100 feet long with a well-maintained regulation surface. It’s landscaped with lavendar, shrubs and annual flowers and features seating for spectators and low intensity overhead lighting for games after dark. Ask how you can help organize a Beginner’s Bocce Tournament. We’ll provide spoof gifts and you and your guests will celebrate with plenty of laughs. Invite your friends to return for Italy’s most popular game that’s been played for decades by kids of all ages. 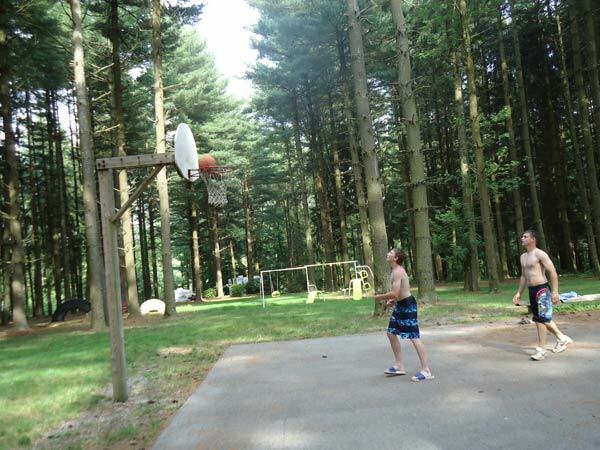 Challenge your friends to a game of pick up on our newly paved 30′ x 45 ‘ basketball court under a canopy of pines. 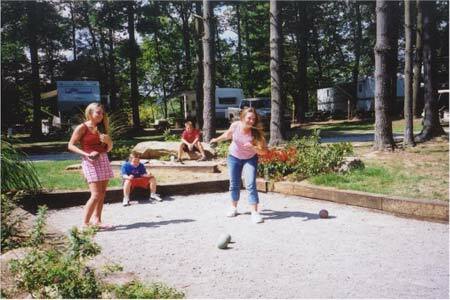 It’s top-notch recreational amenities such as these that make us the highest-rated campground in the tri-state area of Pennsylvania, Ohio, and West Virginia. 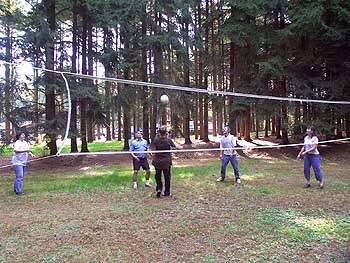 Family and friends can work off a lunch of burgers and fried chicken with an energetic game of volleyball. Our volleyball court, right next to the horseshoe pit, is enclosed in a rectangle of trees, providing shade and privacy, where cars and foot traffic will not interfere with your fun. Lock 30’s unique configuration places all sites away from recreation, yet close enough to be convenient to families and camping groups. Splash away in our newly renovated 40x80 crystal clear pool. It’s almost Olympic size and accessed through our carpeted, furnished clubhouse complete with gameroom, showers, and laundry. Serious swimmers enjoy the twelve foot deep end of the pool. Relax under one of our umbrella tables, or work on a tan while your children play a game of water basketball in the three foot deep shallow end. 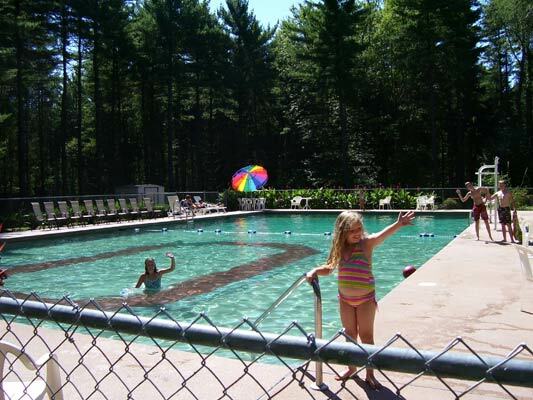 Ask about adult swim nights or how your reunion or company picnic can enjoy the swimming pool and all the recreational amenities at Lock 30 Woodlands. 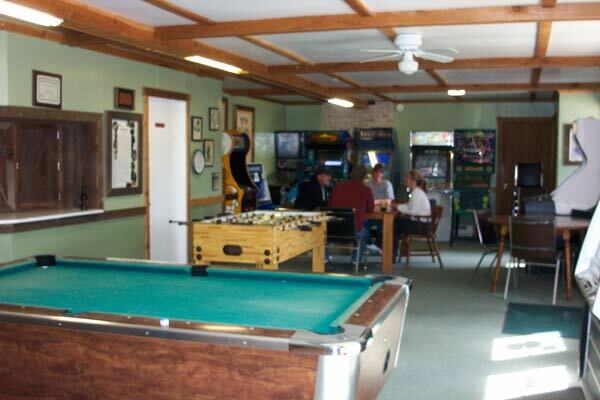 Enjoy a game of pool, play a variety of video games, let your kids beat you at foosball, or kick back and listen to your favorite tunes on the juke box. 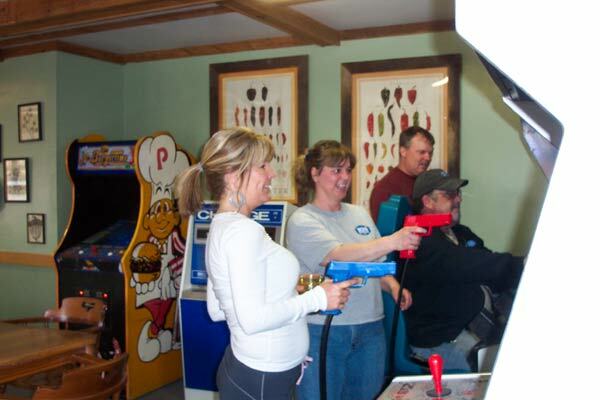 There is something for every age and ability in the game room of the carpeted clubhouse. Play a game of cards at one of the tables or peruse books of all types in our book exchange. 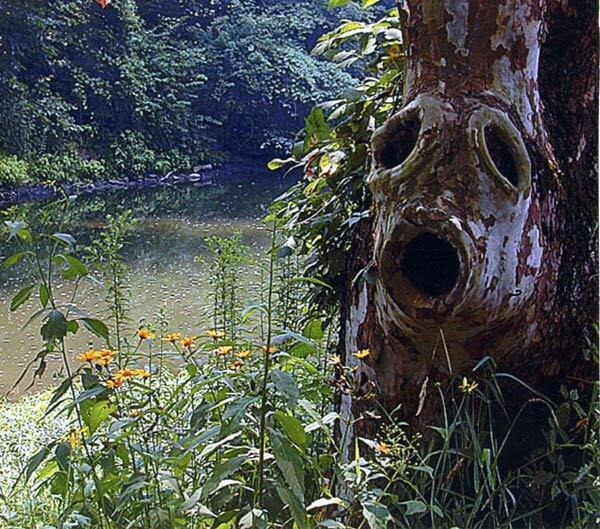 Curious about the Sandy & Beaver Canal System? 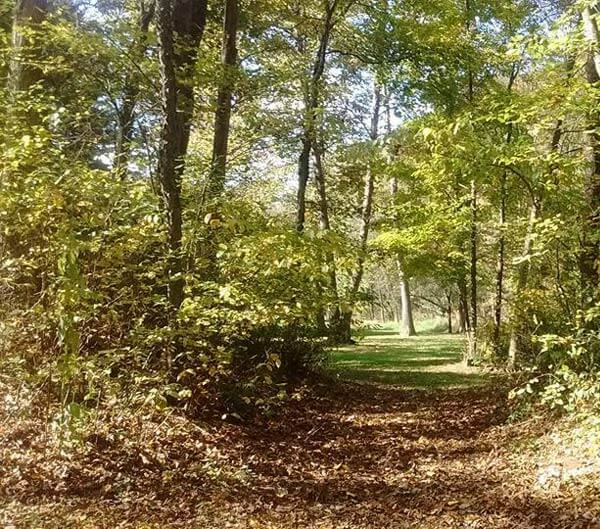 We have a lock on our property that is along the walking trail that stretches from one end of the property to the other. Just minutes away is Beaver Creek State Park. Tour the historic buildings on weekends throughout the summer months. You will also find many marked trails that range from easy to very strenuous. 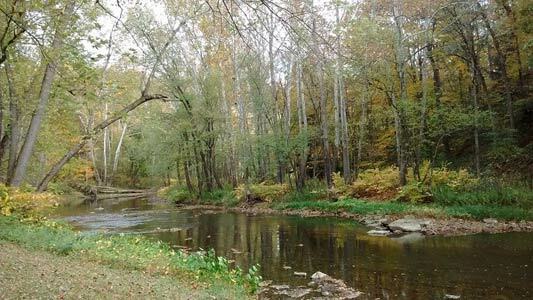 The park is comprised of various habitats including bottom lands, a gorge, forests and Little Beaver Creek–a state and national wild and scenic river. The valley of Little Beaver is characterized by steep walls, high rock cliffs and numerous gentle rapids. Geologically, the valley of Little Beaver is extremely unique, being the only stream valley in the United States yet described, in which evidence of all four glaciations is found. The Little Beaver Creek Greenway Trail is just 10 minutes from Lock 30. 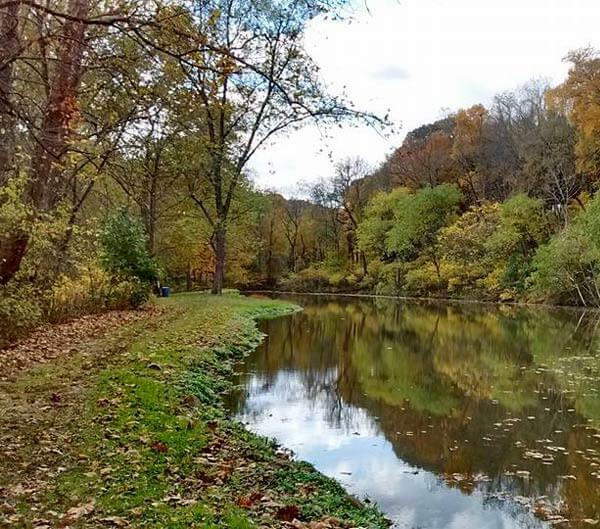 Nestled in a beautiful hardwood forest that runs 11 miles along scenic Little Beaver Creek, one of Ohio’s Nationally Designated Scenic Rivers. This trail travels along the rail bed of the former Erie Lackawanna Railroad to Leetonia. This ribbon of blacktop, at 10 feet wide, is perfect for cyclists, roller bladers, and walkers.